Our high-quality bin liners and refuse sacks are all available at competitive prices. Call us to discuss your requirements. Akta Cleaning Supplies carries a wide range of refuse sacks and bin liners for all eventualities. You can never have too many refuse sacks and bin liners lying around, especially in a commercial environment where you are likely to produce more waste. 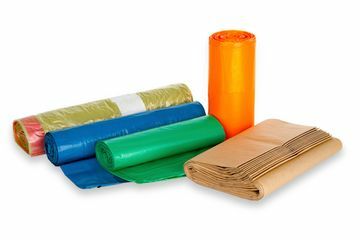 We have bin liners suitable for office environments as well as more heavy duty refuse sacks which are ideal for environments where a large amount of waste is produced. A full range of bio-degradable sacks and bin liners are also available. At Akta Cleaning Supplies we accommodate orders of all sizes and provide a delivery service to customers based throughout Ireland.